Essential Hypertension Breakthrough: Bilateral Sphenopalatine Ganglion Blocks Reduce Blood Pressure, 2018 update. Sphenopalatine Ganglion Blocks (SPG Blocks, Pterygopalatine Ganglion Blocks) can give dramatic relief to headache, migraine, orofacial pain, TMJ disorders. cluster headache and anxiety patients. A new article in Jan 2018 International Journal of Cardiology (abstract below) shows success with SPG Blocks in treating essential Hypertension. The minimally invasive block was effective utilized 2% lidocaine and was administered just once. This result could mean that a third of patients with essential hypertension (EH) could utilize this block and eliminate or decrease the use of hypertensive medication. It also could be diagnostic of a Sympathetic Nervous System cause of EH. There are many negative side effective of anti-hypertensive medications including dry mouth and eyes that can be avoided. 36% success is extremely impressive from a single block. A long-term protocol would require periodic SPG Blocks and I expect that Self Administration of SPG Blocks would be the most efficacious method of treatment. I routinely teach patients with severe migraines, headaches and TMJ disorders how to self administer these blocks with a tran-snasal cotton tipped catheter. SPG Blocks were the subject of the 1987 book “MIRACLES ON PARK AVENUE” which detailed the incredible practice of NYC ENT Dr Milton Reder’s practice which saw patients travel from around the world to see Dr Reder. Dr Reder would do the blocks in the morning and in the afternoon for several days to treat severe pain and chronic conditions and physiological disorders. 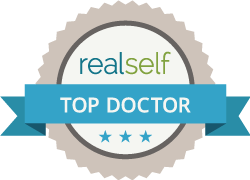 I advocate self-administration so patients can experience the incredible level of relief Dr Reder saw. This is a link to several patient videos who have been helped by utilization of SPG Blocks. https://www.youtube.com/playlist?list=PL5ERlVdJLdtlk8PbufsI0l_MzHo4oOb6g These patients have all been taught to self administer these SPG Blocks. I was introduced to Sphenopalatine Ganglion Blocks by a patient who gave me a copy of the book and asked me to find him a physician in Chicago who did the blocks. I was shocked to find that it was not available. I learned the technique and have been utilizing this Miracle Block sine 1987. I treat TMJ disorders by resetting the Trigeminal Nervous System and TMJ disorders by utilizing Neuromuscular Dentistry. Sphenopalatine Ganglion Blocks address the sympathetic and parasympathetic nervous system associated with the Trigeminal Nerve. In recent years there have been three new devices designed for administering Sphenopalatine Ganglion Blocks. The Sphenocath is the first of these devices and it delivers anaesthetic with a transnasal catheter to the area of the Sphenopalatine Ganglion. The Allevio device is very similar to the Sphenocath. I personally would always chose the Sphenocath over the Allevio device . The third device is the TX360 that is a double barrel device designed to deliver a measured dose of anesthetic with a unique design. It is the device utilized for MiRx protocol. There are also multiple approaches for injection of the Sphenopalatine Ganglion with both intra-oral and extra-oral results. Guided imagery can be utilized with both injection techniques and with transnasal delivery but it is usually unnecessary and makes this simple safe procedure much more expensive while adding little benefit. The problems with all of the devices and injections is that they require patients to be seen in physicians offices or Emergency Departments and do not give patients control over their personal health care. Most of the Transnasal devices are done multiple times on varying intervals. The best approach for improving the quality of life of patients is for patients to be taught to Self-Administration of SPG Blocks. I have taught hundreds of patients and doctors the techniques I have used for over 30 years both in the US and Internationally. The most effective method of utilizing SPG Blocks for chronic headaches, migraines and anxiety is Self-Administration by using the cotton-tipped trans-nasal catheters that enables continuous capillary delivery of lidocaine to the nasal mucosa over the pterygopalatine fossa and ganglion. Some patient nares make use of cotton-tipped catheters difficult and the Sphenocath can also be utilized for self administration of SPG Blocks. (in my experience) by almost all patients given a choice of methods of administration. SPG Blocks for treating essential hypertension only makes sense clinically if patients can self administer the blocks. Neuromuscular Dentistry is based on the work of Dr Barney Jankelson who developed the Myomonitor a Ultralow Frequency Neural Stimulator that is used to relax muscles innervated by two cranial nerves, the Trigeminal and the Facial Nerves. It is amazing for treating chronic headaches, migraines, facial pain, autonomic cephalgias, cluster headaches TMJ disorders and Trigeminal Neuralgia. The Myomonitor works not just on the Somatosensory nerves but also on the Autonomic nervous system through the Sphenopalatine Ganglion due to its anatomical position in the pterygopalatine fossa on the Maxillary division of the trigeminal nerve. The Myomonitor has a 50 year safety record as a Sphenopalatine Ganglion Stimulator. The Myomonitor was the result of Dr J (Barney Jankelson) looking for answers for his wife’s MS. It has been largely ignored by the medical community because it came out of dental practice not medical practice. Ironically, neurostimulation of the Pterygopalatine Ganglion (Sphenopalatine Ganglion) is one of the hottest topics in medicine today. Patents have been filed for using SPG stimulators for treating all types of headaches and migraines, anxiety, depression, panaic attacks, fibromyalgia, autonomic disorders and more. The medical community has never acknowledge the role of Dr J in changing the future of medicine and dentistry. Sluder first described Sphenopalatine Ganglion Blocks in 1908 for Sluder’s Neuralgia. Sluders nerualgia had much in common with TMJ disordrs, Cluster Headaches and Trigeminal neuralgia among other conditions.